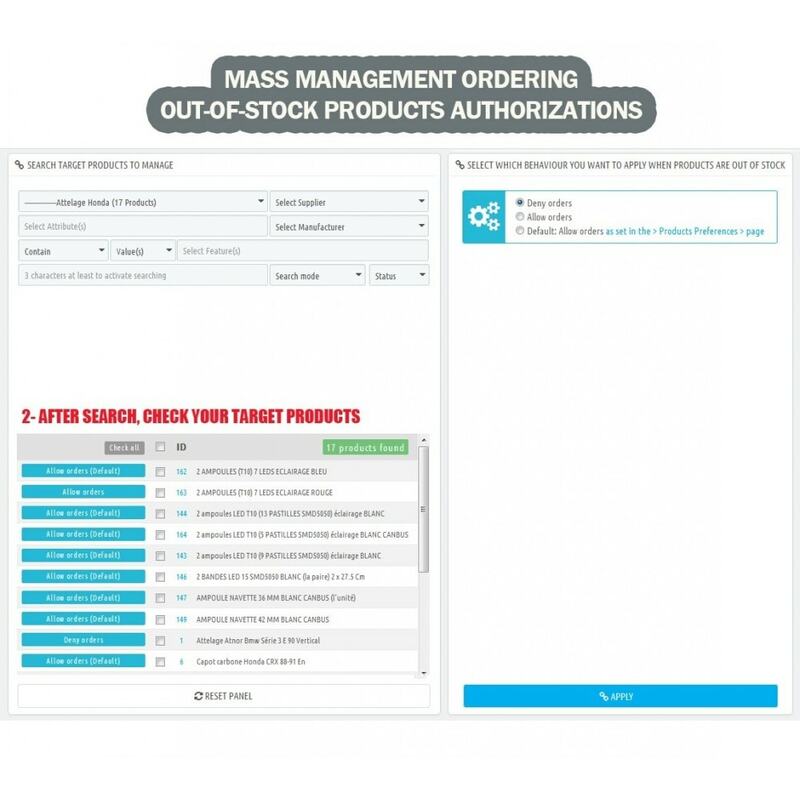 Mass manage authorizations of ordering out-of-stock products in your shop. 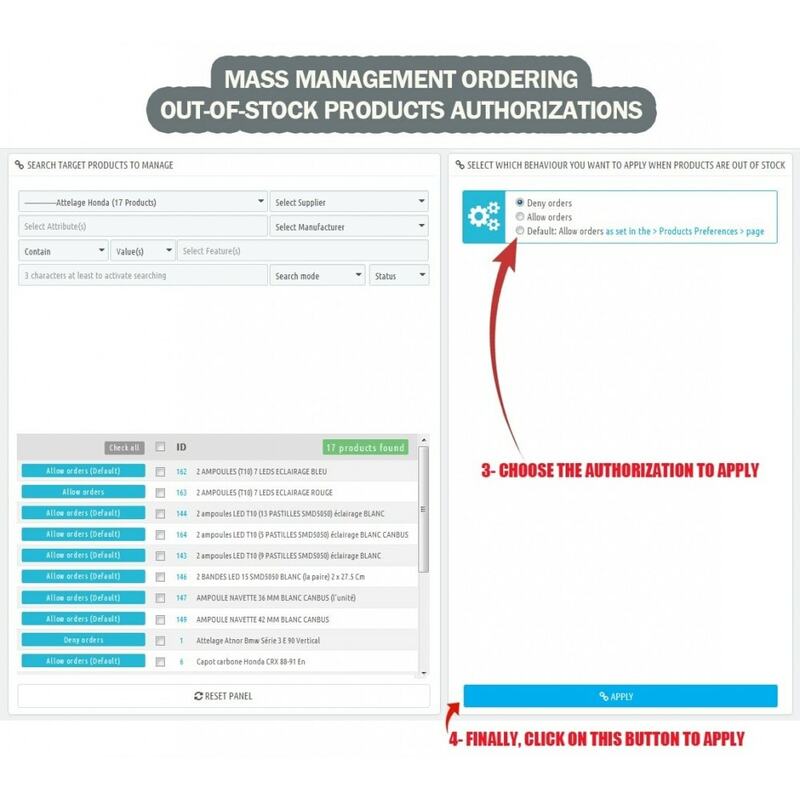 This module helps you save time by allowing you to mass-change the ordering authorizations in your shop when your products are out of stock. 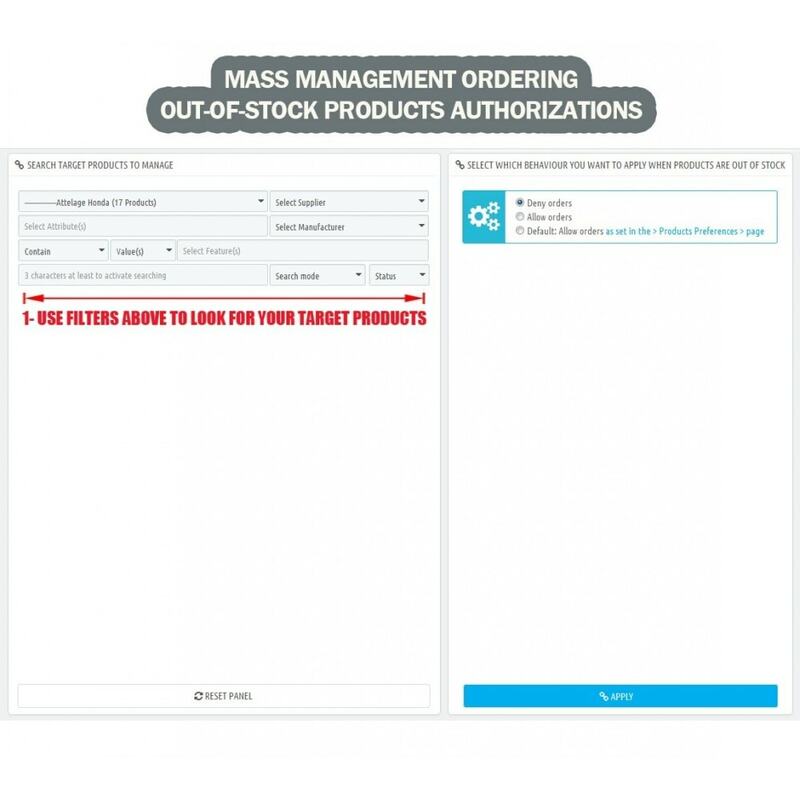 Allow (bulk) orders for your customers when products are out of stock (for selected products). Deny (bulk) orders when products are out of stock (for selected products). Set default value (bulk) as set in the > Products Preferences > page. Direct access to product detail to edit/check authorizations.